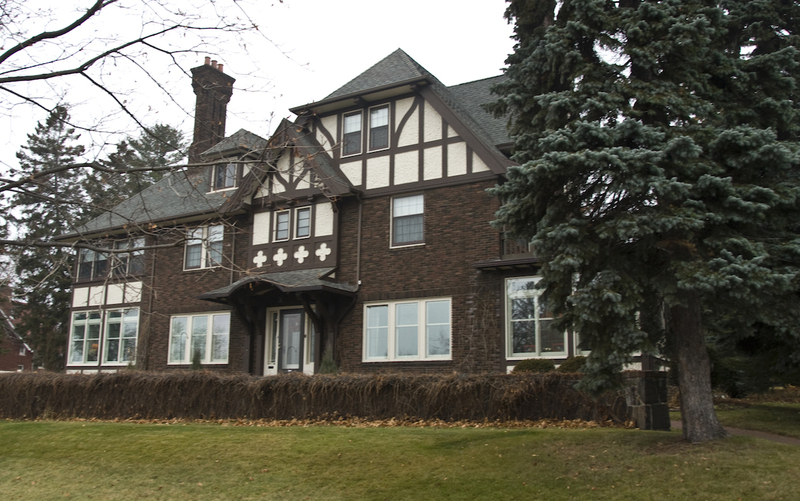 Advocating for the preservation of Duluth’s historic architecture. Another marvelous East End design by Frederick German, the Baker’s rambling two-story Tudor Revival home features two massive “stacked” brick chimneys with corbelling, gauged brick molding and ribbing, flared tops, and three terra cotta chimney pots each. The estate includes an impressive carriage house with a shingled eyebrow dormer. Benjamin Baker, who moved his family to the East End from their first home in Lester Park, worked as a commissioner in the grain trade. 221 N. 23rd Ave. E.